NZDUSD is under the influence of The Fed and BoJ meeting and the oil market. After the previous high at 0.71456, NZDUSD has been moving with bearish bias within the descendant channel. The support rests at 0.69510 with resistance at 0.70590 which both lines are above the monthly pivot point at 0.6830. The EMA of 10 is falling down as well and it is located above the EMA of 75. The RSI is in neutral zone along with the MACD indicator. If the indicators fell into the negative territory then it would be a good sell opportunity. 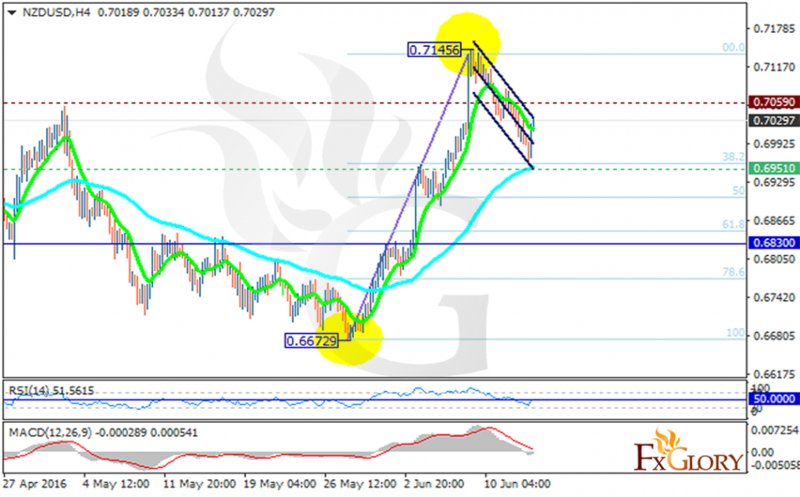 Short positions are recommended with the target at 0.6970.